Like any true product owner, now that I’ve released Building Digital Products on Kindle, Paperback, and PDF, I wanted to take time to reflect on what was my most fun and most challenging product launch. For me, I chose to write Building Digital Products for a simple reason: I saw a big problem with a clear solution. The Problem: New product managers had no place to go to learn about how to build products. They would turn to colleagues, a myriad of blog posts, and use unfocused intuition in their early years. As a result they were failing more often then they succeeded (as I did). The Solution: Create a handbook for product managers that isn’t designed to provide the answers, but rather to focus PMs on asking the right questions at the right times. Before writing Building Digital Products, I had written over 50 blog posts for Webs, Pagemodo, and Vistaprint. By combining that experience with my learnings over 2 years as a product manager, I started to map out major sections of the book. Like anything you’re passionate about, you need to make time for writing a book. Instead of bingeing on the latest Netflix series or grabbing drinks after work with friends, you need to write. For me, I used the down time between work and my nighttime MBA classes to crank out rough chapters. Often, when class was slow and ideas were fast, I wrote in class. It took me about 6 months from start to finish to write the 150 page Building Digital Products. When you first start writing, focus on getting all of your ideas on the page. Don’t worry about structure, continuity, or even quality. You’re aiming simply for idea capture, refinement can come later. Major parallel to the early stages of product development here. When you’re thinking about a new product, quantity of ideas is significantly more important than quality. Quick Diversion: Book in a Box was born out of Tucker Max’s frustration with publishing his own books and offers a fully managed (ghost writer included) book creation service. Great idea, but at $10k, was well above my budget. What I Chose: Based on the recommendation of a friend, I published using Amazon’s Createspace service. It’s far from beautiful, but functionally, it was far stronger than any other option. Plus, it’s deep (and free!) integration with Amazon is hard to beat. I’ve been looking for a reason to try Fiverr for a while. As a tech nerd, I watched their fast growth and knew they were onto something great. After providing an image, and simple design ideas, I received the cover on the left in less than 48 hours, for $5! Writing a book, like building a product, is a lot about knowing what you don’t know. Find experts who can make the process easier and success faster to find. I knew I had limited design skills, so I outsourced. Publishing on Kindle was far harder than it should have been. After completing my paperback book on Createspace, you would expect that publishing on Kindle would be a simple configuration option. 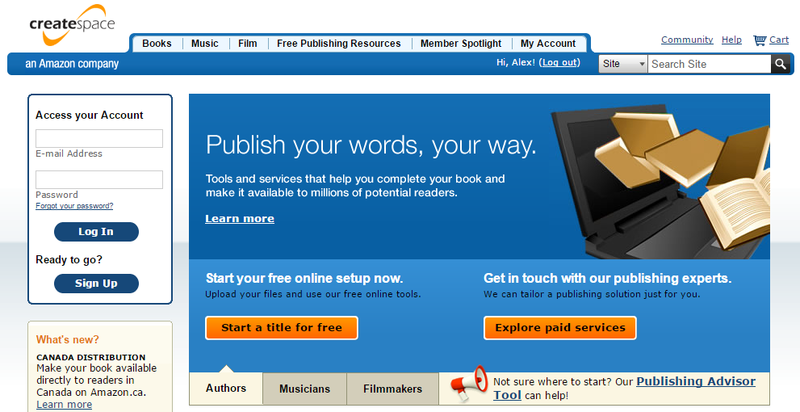 The platform is owned by Amazon, it should be able to export to Kindle, right? Wrong. Publishing on Kindle required using a separate service: Kindle Direct Publishing. Alright, I can deal with that. However, what was excruciating was that this service offers no ability to both preview the appearance of the Kindle version and edit it. Rather, you’re forced to continually guess what’s causing formatting issues, edit, upload, preview, and repeat. This alone, was the reason for the 2 week delay between my paperback release and my Kindle release. I deliberately released Building Digital Products in 3 stages. I started by sharing early versions of Building Digital Products with co-workers in late 2015. At this stage, I gathered structural, syntax, and other general feedback. As always, some feedback was difficult to hear, but it helped me sharpen my points and eliminate redundancy. After largely settling on the content of the book, I shared a fresh version of Building Digital Products with family and friends. At this stage, I was looking for feedback on the readability of the book. What parts dragged and needed to be improved? Where were people finding the most value, the least? Over the course of late 2015 as I wrote Building Digital Products, I also worked on www.buildingdigitalproducs.com I used our new website builder (still in development) to build the site (dog-fooding FTW). This was my beta launch population. 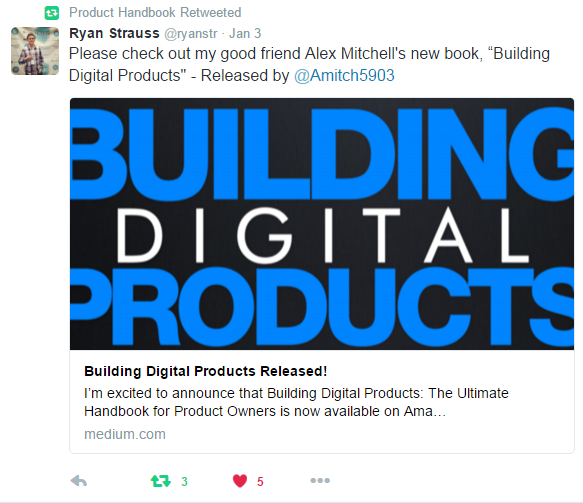 On January 1st 2016, I released the PDF version of Building Digital Products. The Paperback version was released on January 20th and the Kindle version was released on February 7th. 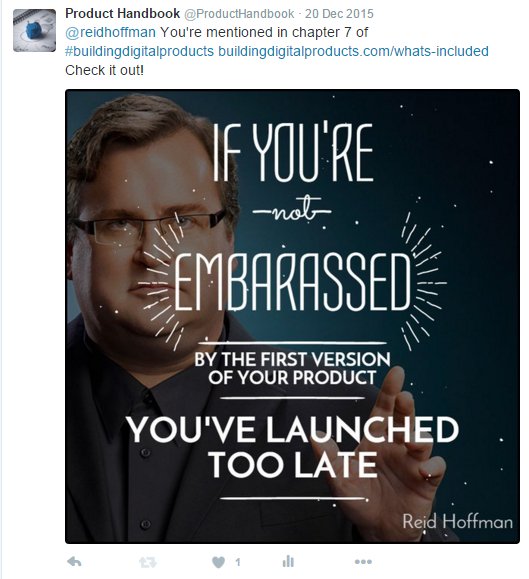 As I launched these versions, I also started reaching out to other product management influencers to co-promote. The Product Manager Handbook is a great example of a high-ranking site for relevant search terms like “product manager”. While at first very sounding similar to my book, The PM Handbook actually serves a different need. Their book offers a collection of 10 interviews with product managers at top technology companies. 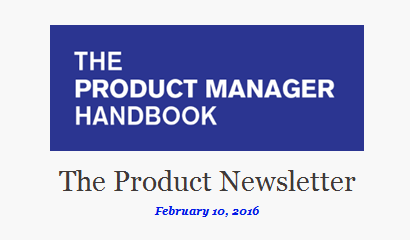 I reached out to The PM Handbook team by replying to their weekly newsletter and was surprised to find the below promotion (free!) in the most recent week’s edition. This promotion alone led to more than 10 purchases! What’s Next for Building Digital Products? 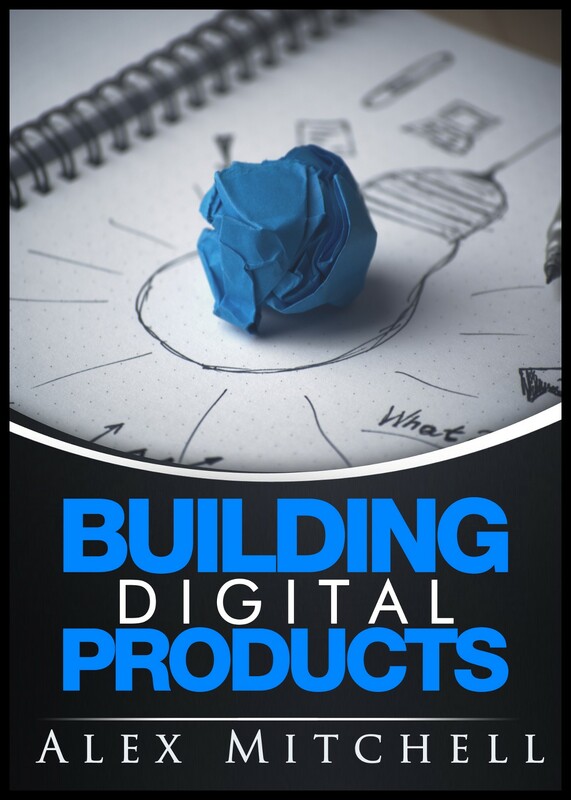 I’m incredibly humbled that over 500 people have downloaded and read Building Digital Products. Do I mind that the vast majority of of those read the free version? I’m trying to improve the product manager world with this book and this is only the first step. 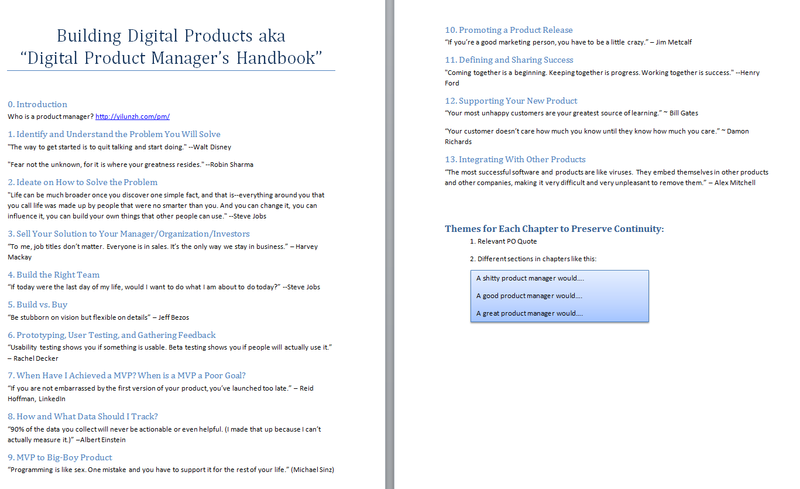 My next goal is for Building Digital Products to become the definitive product management book. I want it to be the book you give to colleagues when they start as product managers. I want it to be the book that Stanford uses to introduce freshman to the technology products world. 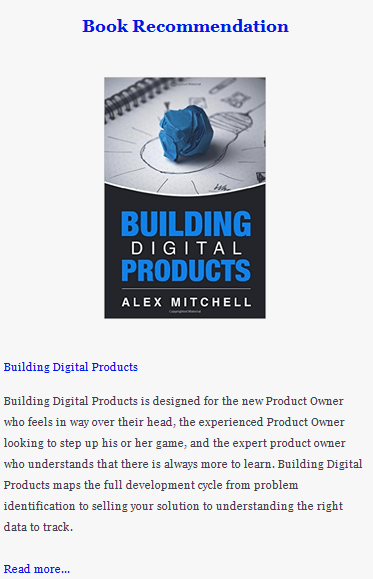 When you search for “Product Management Book” or “Building Tech Products Book” on Google, I hope you’ll see Building Digital Products show up first in the near future. Thanks for reading, now it’s time to start writing a book of your own!